In 2018, three Greek olive oil companies won awards or distinctions at four prestigious international olive oil competitions in Italy that honor an unusually small number of olive oils. 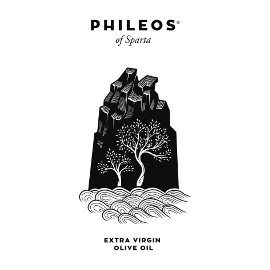 This acclaim for Kyklopas, Pamako, and Argali confirms once again that Greek extra virgin olive oils belong in the kitchens of the most discerning cooks and chefs. 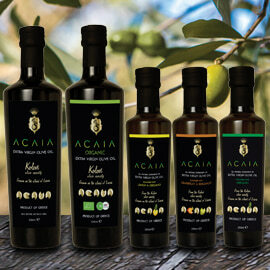 Even a distinction or top ten finish at these four Italian competitions is noteworthy, since three of them differ from many international olive oil competitions in bestowing just one gold, one silver, and one bronze medal (or the equivalent), plus relatively short lists of distinction or finalists, for each category of olive oil they consider. This year, the fourth competition, Monocultivar Olive Oil Expo, awarded a total of 49 quality awards. 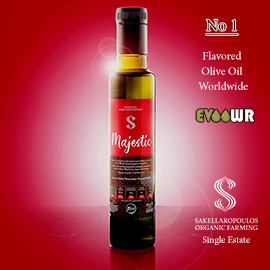 Argyris Kelidis’s Kyklopas Early Harvest, a Makri monovarietal extra virgin olive oil (EVOO) from northeastern Greece, stood out with the most impressive awards at these competitions. Kyklopas won Gold Awards at l'Orciolo d'Oro and Monocultivar Olive Oil Expo, 3rd place at Armonia Trophy 2018, and recognition as a Selezione Leone at the Leone d’Oro competition. These are just a few of the 20 awards Kyklopas olive oils received in international competitions this harvest year, adding to their current grand total of 72 medals. 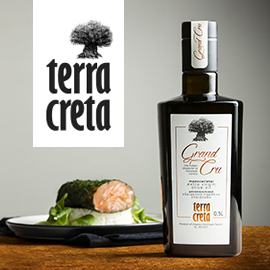 Kyklopas was also the only Greek company to win a quality award at the Armonia International Olive Oil Competition this year--or any year since Friedrich Bläuel won a Gran Mentione for their Greek EVOO in 2010. Kelidou said her team was “very happy to see the Greek company Kyklopas in third place” for delicate fruity EVOOs. 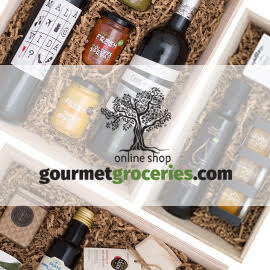 Kotsonis Estate also received a packaging award at Armonia, while Kyklopas was chosen for use by a chef in the Armonia in the Kitchen cooking competition. Martelossi adds that Armonia is also “the first and only international olive oil competition which involves producers, tasters, chefs, foodies, and consumers in recognizing and awarding prizes to the best international EVOOs and for their mindful use in food and oil pairing.” Famous chefs such as Jamie Oliver are involved in Armonia in the Kitchen, and awards are presented to young chefs, food bloggers, and cooking enthusiasts for the best original dishes made with the competition’s award winning oils. The goal is to promote the use of excellent EVOOs in restaurants and cooking schools. At the Leone d’Oro dei Mastri Oleari competition, with 260 entries, Pamako Mountain BIO Monovarietal EVOO was judged one of the top ten monovarietals from outside Italy. This was one of 18 awards for Pamako this year. Owner Eftychis Androulakis told Greek Liquid Gold he feels “happiness to the skies,” since this may be “one of our biggest awards” so far. He also believes this vindicates the Tsounati olive variety from Crete, which was once considered incapable of producing extra virgin olive oil. Androulakis attributes his success to “experiments, experiments, experiments! 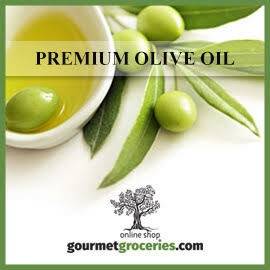 Without the olive pit or with it, with or without different inert gases,” different rotation speeds during malaxation and centrifugation, drying the olives after washing, and much more. Androulakis says he “decided to participate in Leone d'Oro because I knew it was the oldest international olive oil competition worldwide, and also one of the most difficult competitions.” Maria Paola Gabusi, Leone d’Oro director and panel leader, explained to Greek Liquid Gold that only EVOOs earning a score of 80/100 during an initial screening qualify to enter the competition (gaining the designation “Selezione Leone”). The competition may become even stricter next year, as Gabusi is striving “to make this competition one of the most serious in the world.” She adds, “I really hope that next year we will have more Greek companies that want to compete” at the Leone d’Oro. Thanks to Kyklopas for the photos of their olive oil.